Curator of Zoology, National Museum of Ireland - Natural History. 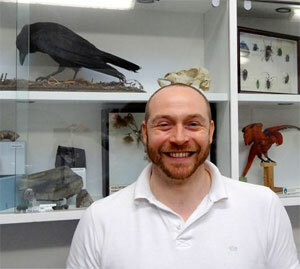 I am the Zoology Curator at the National Museum of Ireland and currently the Chair of NatSCA. For fun I'm involved in science engagement activities and sharing collections using social media. I established a monthly science communication event in London called PubSci that I continue to help run from Ireland, I deliver talks and performances on a variety of natural history topics and I run the blog Zygoma. I see these activities as being intrinsic to engaging with audiences and raising the profile of natural science collections by encouraging informal interaction. My research interests include comparative skeletal anatomy, methods in morphometrics and manufactured mermaids.